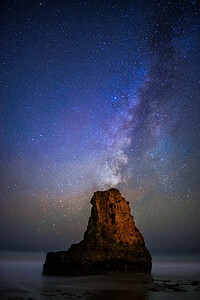 The core of the Milky Way sets below the horizon behind a sea stack lit by campfires on the beach. 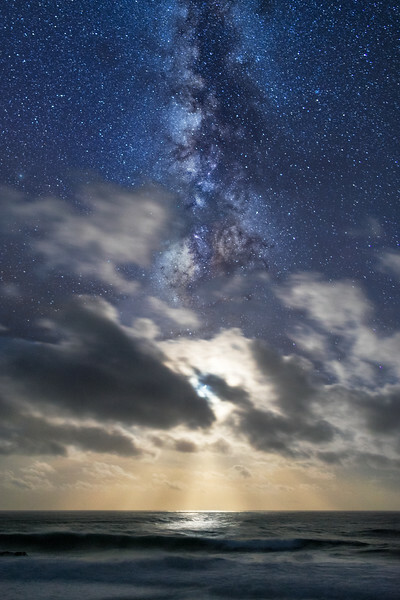 The Milky Way stretches up above a setting moon and low clouds on the central California coast. 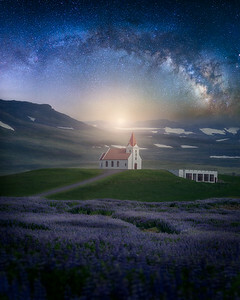 A lupine field and church under a calm night sky in West Iceland. 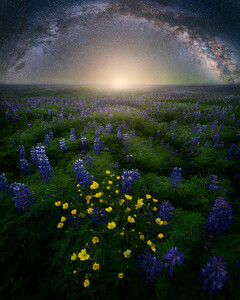 The Milky Way arches above an endless lupine field in South Iceland. 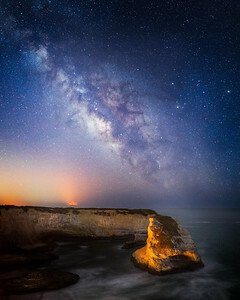 A rising galactic core over Shark Fin Cove on the central California coast. A bright orange smoke plume from the Soberanes Fire can be seen on the horizon. 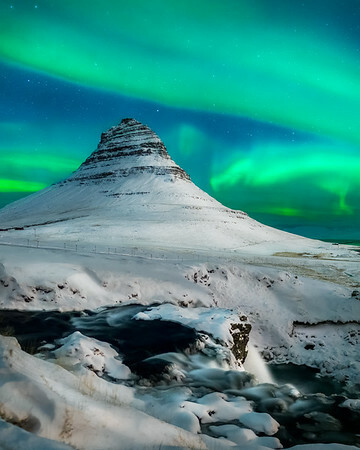 A brilliant solar storm fills the night sky over Kirkjufell in West Iceland. 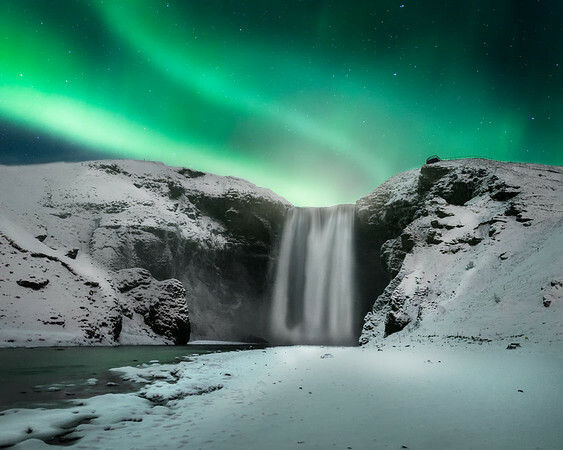 A strong aurora show lights up the landscape at Skogafoss in South Iceland. 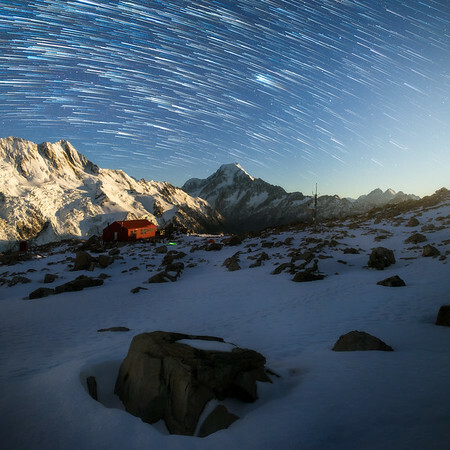 The rising moon illuminates Mueller Hut and the summit of Mount Cook under 3 hours of star trails. 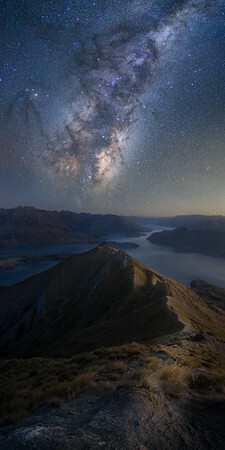 A breathtaking night-time view above Lake Wanaka on the South Island of New Zealand. 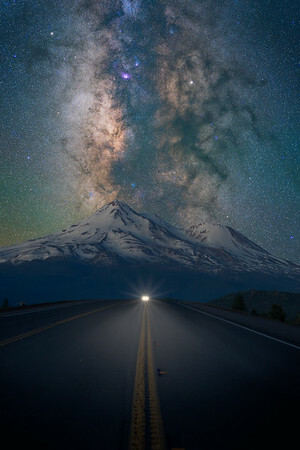 The galactic core stretches majestically above the peak of Mount Shasta in Northern California. 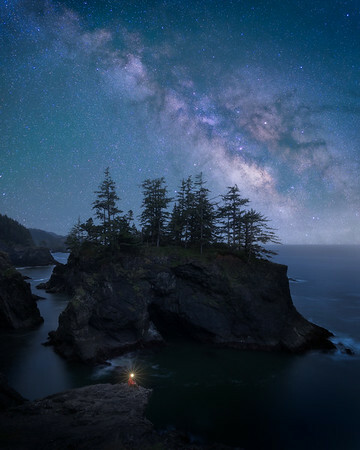 A rare clear night along the Southern Oregon coast. 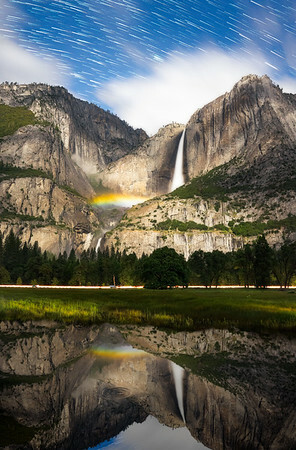 A full moon casts a rainbow at the base of Upper Yosemite Falls during a rare wet June in the valley. 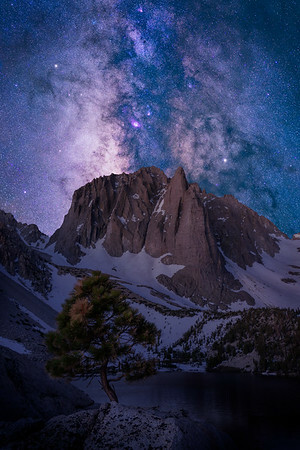 The Milky Way erupts behind a peak in the Sierra High Country. 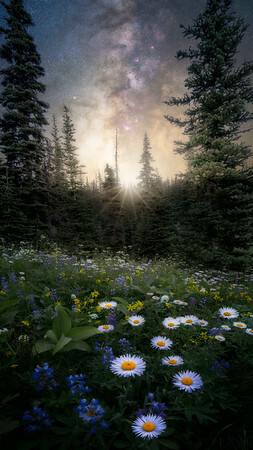 A creative nightscape over one of inumerable wildflower meadows at Mt. Rainier.